The last two weeks have been awesome for me. It was a blessing to spend time with family, eat plenty of delicious food, sleep in, and just plain relax. Christmas vacation is now over and it's time to take down the decorations and Christmas tree. The house is all clean and it's time to get back into our regular busy routine of errands and carpooling. And in this cold weather, I just want to be comfortable. Usually, I run errands in a jogging suit, leggings, or yoga pants. But there's no need to sacrifice style for comfort. Slimsation has made it possible to have the best of both worlds. Slimsation gifted me with a pair of pants to try out. These pull on pants are dream come true! The construction of the pants are high quality, not flimsy or cheap. *Wear clothes that actually fit. Don't wear tops or bottoms that are too tight. Ill fitted outfits can make you look frumpy. 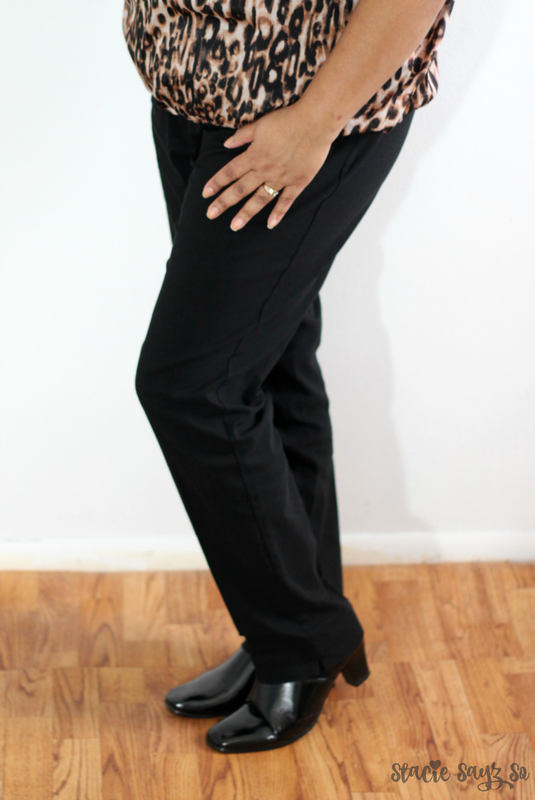 *Pick up a pair of Slimsation These pants are dress casual but nice enough wear with a jean jacket. Slimsation has jeans that I bet are a dream, and they've even got leggings too. *If you wear leggings make sure to wear a long enough shirt, cardigan or sweater that covers your rear. It just looks better. Slimsation makes me look slimtastic! I love them! They were just as comfortable as they said they would be. 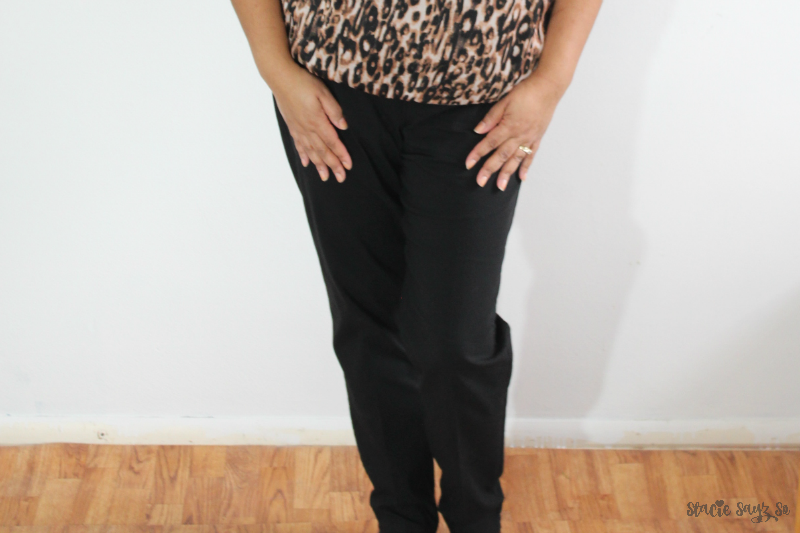 Slimsation pants held me in and made me look slimmer. They are a bit pricier than I would usually pay for pants but they are worth every dime. I know these pants will last a long time. Have you heard of Slimsation? How are you dressing comfy in the new year? They look very nice on you. Slim fitting and classy, something that one would wear a lot. I like.. :-). Thank you! I love how slimming they look. Thanks! They have all sorts of pants, jeans, and leggings. I had not heard of them. But those look great on you. Also I love your new hair style girl!!! Thanks lady! They're super comfy. I'm definitely all about comfort but I'm making more of an effort not to wear my same ol weekend wardrobe which is usually jeans, a tank and flip flops for this Florida girl. The pants look like they are comfortable and I'm sure they will be a nice addition to your wardrobe. Thank you Tia! I'm all about comfort too and it's nice that we have more styling options. Thanks! 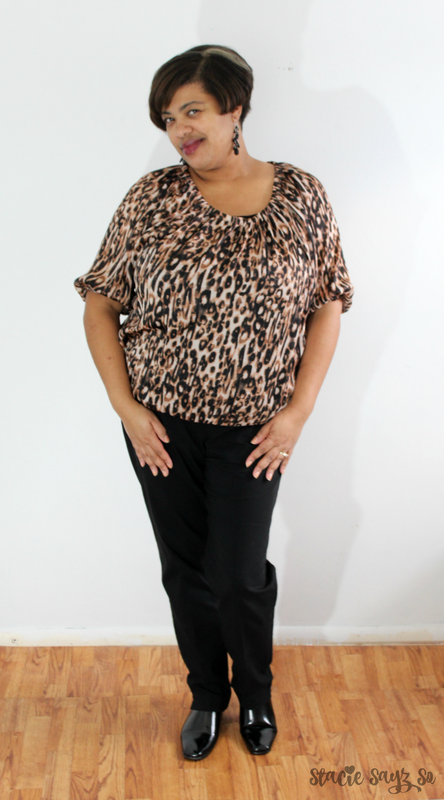 Leopard is one of my favorite animal prints. You look cute! There's nothing like a pair of pants that look good, but also feel comfy, too. Why thank you dear. I agree 100%! I live in pants. I even wear them to church! I was just sharing with another blogger that I need to buy something leopard. I really like this look on you and it's nothing like comfortable and stylish clothes. Leopard just looks good on everyone! Yes and you can really dress them up or down if you like. I haven't heard of Slimstation, but they are a great concept, and look nice on you! 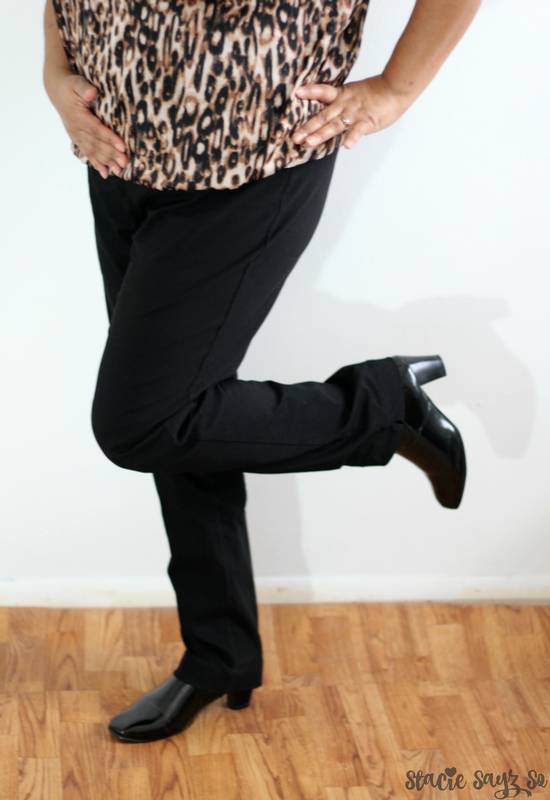 I'm staying comfy in the New Year with a lot of jeans that have stretch in them, and booties! Jeans and booties sound cute and comfy too! Love the pants Stacie and they look really great on you. Thanks for sharing! I've never heard of this brand before. Comfy and cute is what I'm about. I am building up a collection of graphic tees, and love that I can dress them up or down depending on how I'm feeling. Never heard of the brand, but you have made me a believer. Looks great! You look likeyou are comfy to start your new year! Thanks for inspiring the ladies to start the Near Year off in STYLE! Comfy and cute! It's the perfect outfit. And I love that it is so slimming. I need those pants! These are so stylish and they sound so comfy. No need to look a hot mess when you can be comfy and cute in this outfit. Great look for you.I agree with wearing clothes that fit your body. I dropped some wait and my go to work pants were looking sad and droopy. I took advantage of some after Christmas sales to remedy that and now I'm feeling like myself again in clothes that fit!